Cultivate a friendly, inviting, clean, and safe community for all. A vibrant district of diverse residents, business owners, workers, and entrepreneurs needs a public realm that works for everybody. To ensure friendly, inviting, clean, and safe streets and public areas, Lake City Future First will initiate and manage an active program that focuses on crime and disorder hotspots, public rights-of-way, young adult support, community services, and partnerships with law enforcement and educational organizations. Harness the energy, interests, and passions of Lake City businesses, partner organizations, residents, and other stakeholders to bring everyone together in order to address common issues as a group. Celebrate the rich culture in Lake City with meaningful gatherings of diverse communities within Lake City. Advocate for all businesses and residents, all income levels, and all needs, to make it possible for a diverse, vital, and inclusive community to live, work, and enjoy Lake City. Strengthen law enforcement and educational partnerships between the City and other agencies to identify and mitigate crime and disorder Hotspots. Crime Prevention and Security: programs to work with police departments to organize merchants and residents to report crimes, address physical conditions that could reduce crime and make the retail environment feel safe for shoppers and residents. 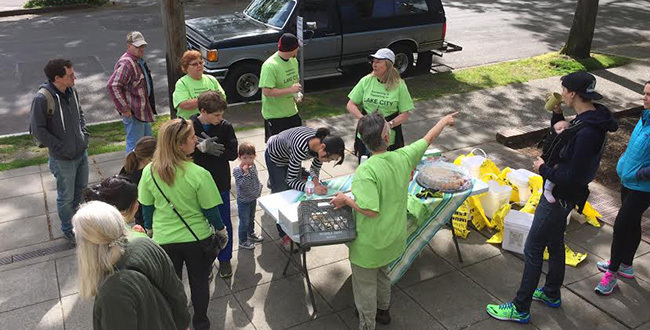 Clean Activities: ranging from managing neighborhood cleanup days to hiring regular cleaning crews for garbage pick-up and sidewalk and street cleaning. A clean business district not only creates an inviting shopping environment, it also influences perceptions of safety and demonstrates an investment in the commercial district’s surroundings.